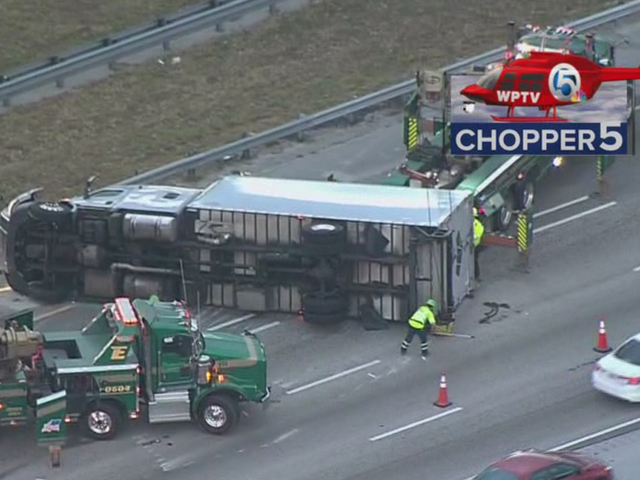 An overturned semi Friday morning slowed traffic on Interstate 95 southbound near Congress Avenue in Boca Raton. 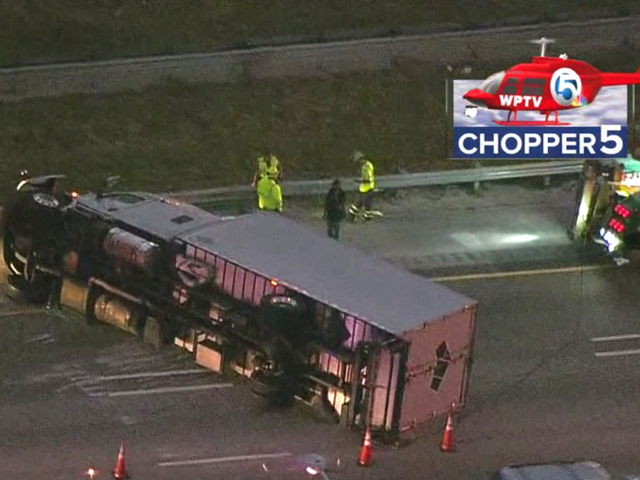 The crash happened at about 5:07 a.m.
Backups are occurring back to Woolbright Road. The driver of the large truck was not hurt. The vehicle was moved to the side of the road at about 7 a.m., and all lanes are now back open.